With the completely opposite concept than that of the Reich, Russia chooses quantity over quality. The best example of this is the T-34/85 as it is the most produced tank in history and one of the most used one in any army today. This is the Russian way and they apply this principle to all types of weapons they produce, be that a LA-9 fighter or an IS-3 heavy tank. 7-34-85 is the most produced tank in the world and workhorse of many armies. The T-34/85 is no joke. Its sloped armor has been proven to be effective in bouncing even higher caliber shells than originally thought possible. Its powerful 85mm cannon can destroy most German medium tanks and its speed can outmaneuver the rest. Since its introduction in the late 1960s it still remains the number one tank used in many nations including Croatia, Serbia, the Soviet Union and many more. In most armies it has completely replaced all other medium tanks because of its fast construction, reliability and low price. In recent years it has become so popular on the tank markets around the world that the Soviet Union has trouble distributing so many of them and keeping up with their own demand. T-44 is a new, easy-to-produce, medium-sized tank that is better armored and faster than the standard T-34/85, created by the Soviet engineers as an answer to the new 4th Reich tanks that were coming out, like the Pather F or the Jaghtiger. 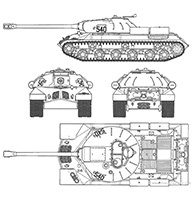 The development of a new, medium-sized tank that would replace the T-34 started in 1985. 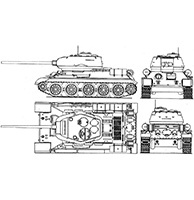 The tank that was eventually made in 1989 was the T-44. It was better armored, lower and faster than the standard T-34. The T-44 was a better tank altogether. Although it still carried the same 85mm gun and turret that was mounted on the T-34, this tank was great in facing the new armored monsters that the 4th Reich was producing but it still is not as widely used as the trusted T-34. IS-2 is the best heavy tank produced by the Soviets. Just like its smaller brother, the T-34/85, it is also used in a lot of armies around the world. 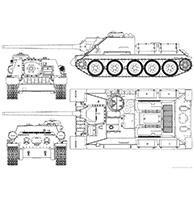 With its heavy armor and cannon to boot, it is a challenge for any German medium tank and can even be a problem to some German heavy tanks. Although many armies use it, they do so in small numbers as this beast is not cheap in terms of either buying one or maintaining it in fighting shape. It is mostly used by the Soviet Union as they are sometimes known to deploy hundreds of them in a single battle. IS-3 is by far the biggest tank ever made by the allied forces. This monster has enough firepower to even challenge the mighty king Tiger and Jagdtiger – two of the biggest tanks Germany has ever produced. With its ingenious front armor design and a gun so powerful that it can be used as a mobile howitzer, this tank is a force to be reckoned with. Unfortunately, this tank is mostly used by the Soviet army and has not spread to other countries around the world like its smaller brothers have. Even the Red Army has just over 900 of these tanks available, meaning that it is a tank that can rarely be seen on the battlefield. But when one is around, there is little that can be done to stop its immense power. 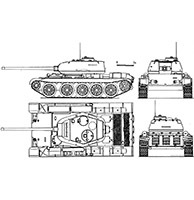 SU-100 is built on the same principle as Stug III since it is made from the very popular and well-tested T-34 hull and a powerful 100mm anti tank gun. 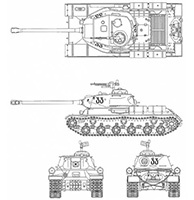 Its armor is also an improvement of the T-34’s armor, and with the now low profile, it can be a true terror to the German big cats. Its only true weakness is its speed as it has a lot of additional weight loaded on a chassis equivalent to that of a T-34. Moreover, it still uses the T-34’s engine which makes it rather sluggish in turning and driving on difficult terrain. LA-7 is a great all-around fighter developed by the Russians in 1970 and set to replace the old LA-5. It has two 20mm cannons as its main armament but can also be fitted with bombs for a ground strike mission. One of the only aircrafts which can effectively challenge the German BF 109, not so much because of its performance but more because of its sheer numbers and classic Russian rouged design. 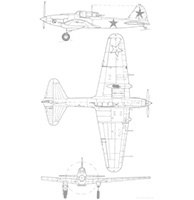 IL-2 is an aircraft which can be best described as a flying tank. The IL-2 is the terror of any German tank crew. 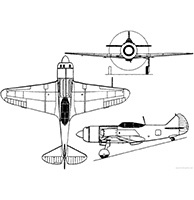 It is one of the best equipped aircrafts for ground strike missions and tank hunting with its cannons, rockets and bombs. No tank is safe when it enters the battlefield. 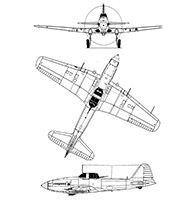 Armored from the underside to protect the pilot and engine from any small arms fire from the ground, its fine armament make this plane a priority to take down before it can unleash its payload on the victims it is targeting. With two 23mm cannons and two 30cal mg’s in its wings, rockets under them and a bomb load of four 100kg bombs in its bomb bay, it can dish out pain to more than one type of target. IL-10 continues where the IL-2 has left off. 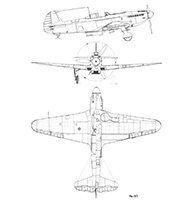 Since the IL-2 is getting quite old by the day, the Russian designers have come up with a more modern design for the ground attacker by adding another pair of 23mm cannons, a better engine, and a more to date cockpit. The IL-10 performs just like its older brother but it has a better engine, more armament and an all-around better look. YAK-9 is one of the most feared Russian aircrafts among German bomber crews as it is fitted with a gigantic 45mm anti-bomber cannon. It can obliterate any German bomber with one single shot. However, this great bomber does not come without its fair share of weak points. The first weak point is its quite big and extremely unreliable engine. The second weak point is the quite low overall speed of the aircraft and this is not due to the weakness of its engine but rather to its pilots being afraid to push the engine to the limit fearing the engine might blow up or overcook.